Set 3/ Butterfly Step Stones for Miniature Fairy Gypsy Gardens. 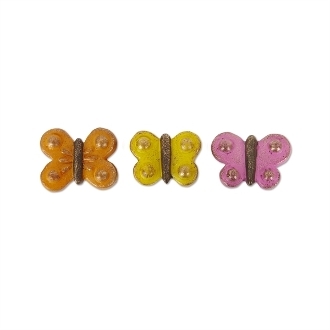 These adorable butterfly stepping stones designed by Genevieve Gail make sweet, colorful additions to any mini garden. A hint of golden shimmer makes them truly unique.